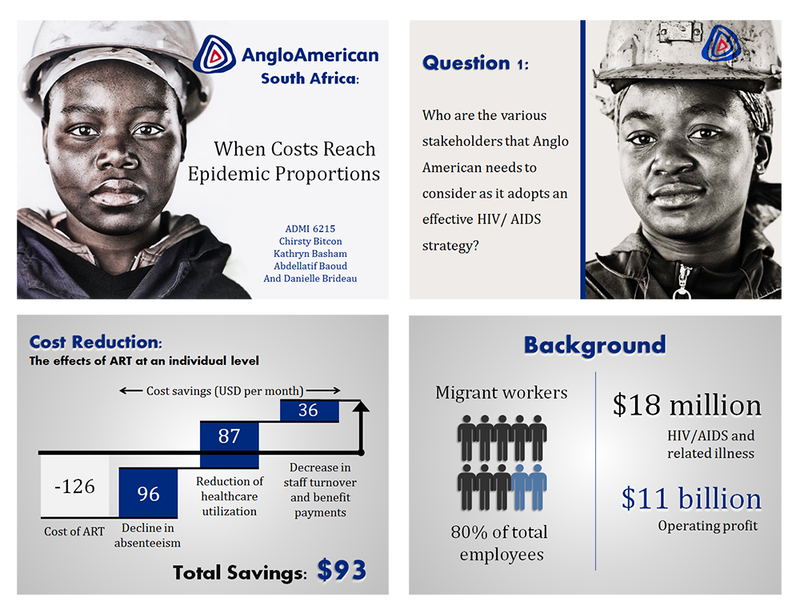 This case study presentation centered around ethical dilemmas businesses may face when working internationally; specifically in this case, AngloAmerican’s adoption of a HIV strategy in South Africa. I sourced the images from an AngloAmerican ad campaign and created the infographics in Illustrator. I utilized the portrait images throughout as it was important to me to repeatedly remind the class that there are real people attached to these issues. For this research project and presentation my group chose to focus on Zappos.com and their implementation of a holacracy. 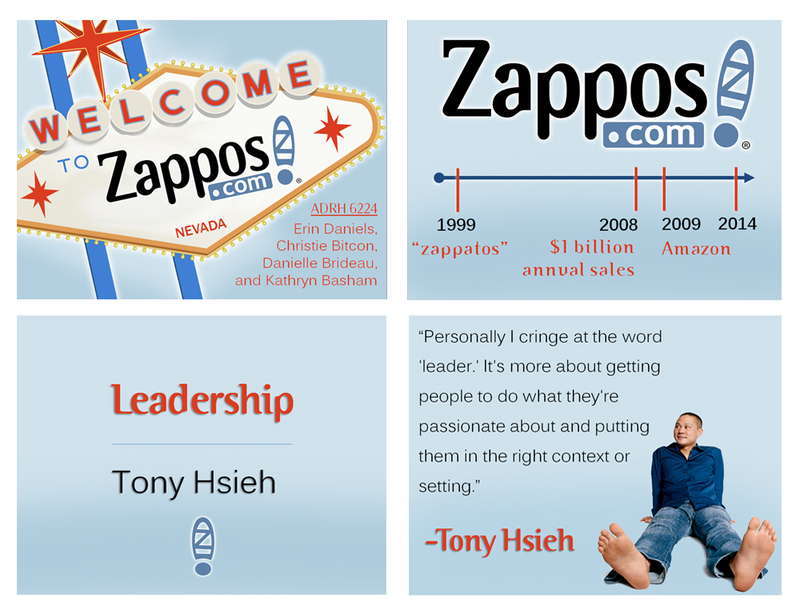 I created the slides to reflect Tony Hsieh’s open and relaxed approach to leadership as well as convey the quirky side of the Zappos.com employee experience. 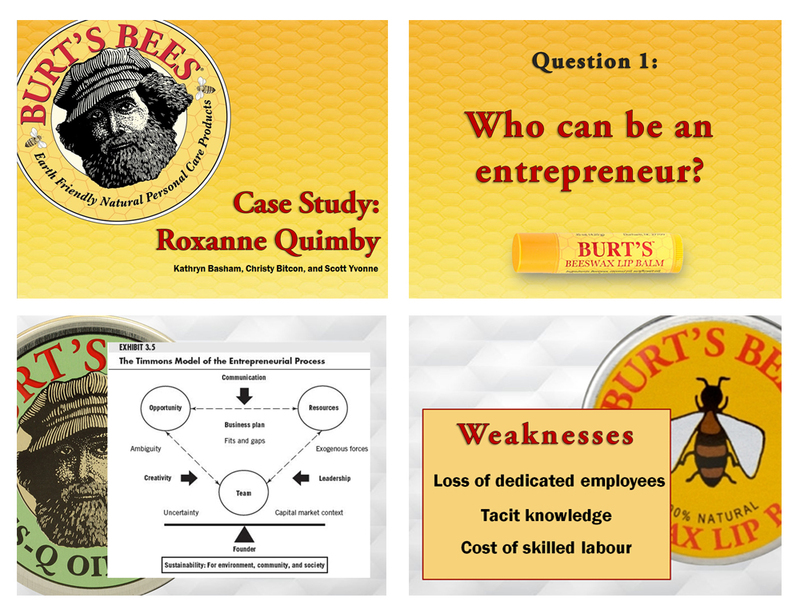 In this case study presentation, detailing the entrepreneurial spirit of the founders of Burt’s Bees, I created custom slides in Photoshop to fully represent the Burt’s Bees brand by showcasing not only their products, but font and colors as well. 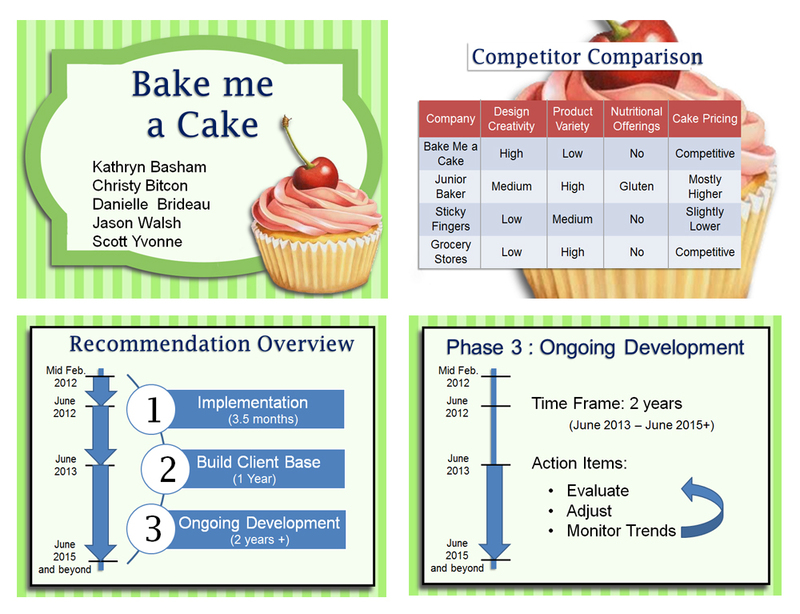 This course long case study centered on the development of a strategic business plan for a small, home-based cake baking company looking to expand their business into a storefront, but still maintain their homemade appeal. I designed and created these slides using a mix of Photoshop and PowerPoint to highlight both the brand story we developed and the detailed steps of each phase of the recommendations we made. 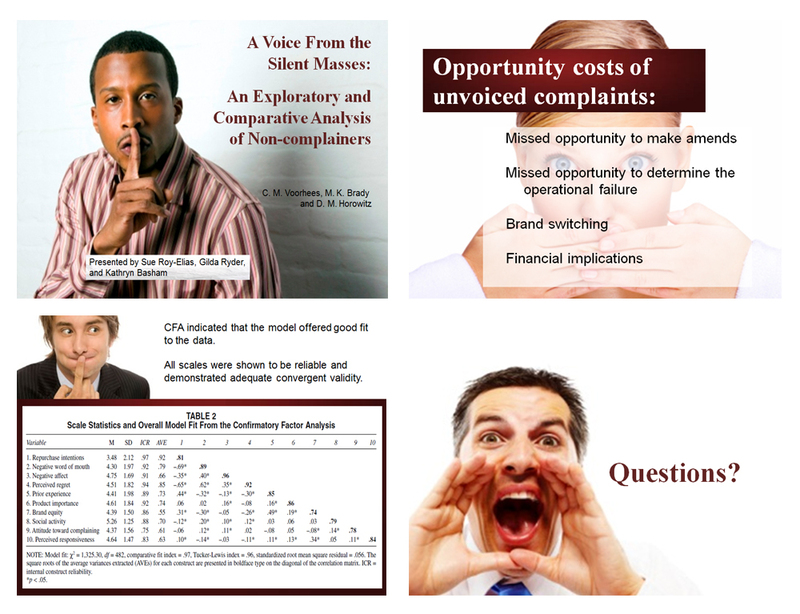 In this seminar style course, several student groups presented case studies analyses each class. My goal when creating these slides was to make them as visually striking as possible to break up the large amount of data being presented.